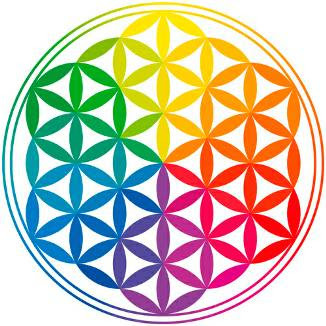 Colour Therapy for Spiritual Awakening: 33/6 Awaken to your Mission! 33/6 Awaken to your Mission! Today resonates to the master frequency of 33 and therefore the colour is also of a very high and masterful order. Under this vibration missions are awakened! Here you have surpassed the pain of the anxious world and you no longer seek to know what lies ahead but rather you are able to stay focused in the Now and know that in the Now all else matters not. Yesterday has gone and tomorrow has not yet arrived, so why worry? If there is no yesterday and there is no tomorrow and you are held stable in the Now you will be sitting in absoluteness. This is the vibration of Christ Consciousness awakening in you. The Joy of being fully merged with the Soul means that the only path is that which is your mission. The brilliance of your mental faculties is not concerned with what you know on a conscious level because it Knows that in the flow of Joy and the immersion of Christ Light the path that beckons you will unfold one step at a time and all you have to do is hold the Joy! We go from a brilliance of yellow and white light that awakens the Joy within and burst forth into the magnificence of Magenta as our Heavenly Mission merges with our Earthly path. In the Light of Christ Consciousness I Am! My path is one of absolute Joy and my Soul is but a Portal to a Higher Way. I step into and through the Portal of Joy and walk forward along the path to Bliss I Am!